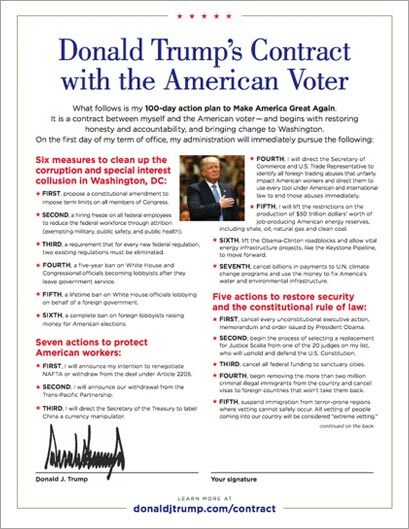 Trump’s Presidential campaign formed a “Contract with the American Voter” that specified a 100 day action plan to Make America Great Again. 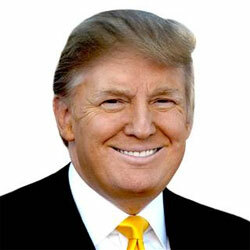 The plan outlines ways to reduce corruption, protect American workers, restore security and several acts to make government work for the people instead of the status quo. Attached is a copy of his 2 page plan that should give many Americans hope for the future.